iDirectShop – Another way to shop online! I know there are tons of sites out there where you can find deals on travel expenses, such as hotel reservations. 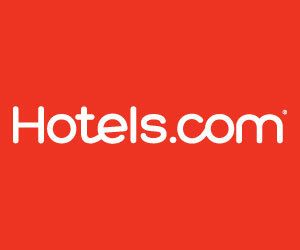 In trying to plan a summer trip for my family, I came across Hotels.com. I like this one because it is nicely organized, easy to navigate, and it seems to “know” what I want to do. For example, if I click into a property, it opens in a new window, saving the place where I am on the site’s search results listing. What I really like is that in that new window, if you click on the location map, it pops up in front and you can zoom in/out and the best thing is that it shows all the other hotels in the area surrounding and you can click on those and check them out without losing your place. Also, I know this is not a big deal to most, but I like the fact that (by using cookies) if you need to come back later for another session the last configuration of location, rooms, number of people etc. is already entered. A huge time saver. The reservation process is quick and easy. They of course also give you the option of getting their app (who doesn’t these days) so you can keep all your reservations on your phone. I was a very slow adopter of using apps for so many things, but this is one of those ones that is convenient and makes a lot of sense. With the barrage of Christmas ads appearing earlier each year and in seemingly greater numbers, it seems to get easier to just try to tune them out or ignore them altogether. But here is a wonderful ad for a UK store by the name of Marks and Spencer. This ad is beautifully produced and so classy, it may make you think there is hope yet for holiday advertising. It’s actually almost secondary as to what the product is that’s being advertised. If this one doesn’t make you teary-eyed, then you may have no heart or soul. This is an update to an earlier post. I have been doing this fiverr gig for a long time now. I just found out that new customers may be able to get a 20% discount on their first gig purchase. Just enter the code FLY20 if you see the promo code field when you check out. Have you moved on from Quark XPress to Adobe InDesign like herds of other graphics professionals? Are some of your files still stuck in Quark, but it would be too time consuming to rebuild them in InDesign? Well, you’ve come to the right place! 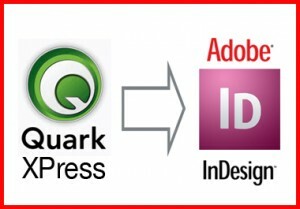 I will convert your file from Quark versions 3.0 to 9.5 to Adobe InDesign. There are a few things to be aware of, however. Local formatting (bolding, italicizing) will be lost since InDesign doesn’t support it. You may get reflow due to the various differences in the way Quark and Indesign handle font spacing. Some features/effects of later versions, like drop shadows, may not correctly carry over to the new InDesign file and may need to be recreated. Also among other things, ligatures, Quark applied styling and runarounds can be problematic. Click here now to get your Quark file converted to InDesign for only $5.00 Also, don’t forget to enter FLY20 at checkout for your 20% discount if you see the promo code field. If you are interested in having me do something beyond the scope of the Fiverr gig, or if you have some prepress/print production work you need, please click here to contact me. Nothing to buy here, but you have to see this video. My wife says she likes Lady GaGa. I say “lady what?” I hear a few songs on the radio, whatever. But then I come across this video. This woman is a huge talent. It’s time for the old school divas like Cher to step down and let Lady GaGa take the throne. Before this, I’ve only heard Just Dance and Poker Face. Bad Romance is a phenomenal song. It has some great changes in it that really hook you. I can’t hear it enough. This is hands down the best music video I have ever seen. Brilliant production, choreography, direction, editing and characters. It’s not for everyone, but that’s part of the appeal for me. I have become a huge Lady Gaga fan on just seeing this video. I am floored by her talent. I only hope that most of the songs of Lady GaGa’s that I have not yet heard can come close to the greatness of Bad Romance. Well it’s December so Happy Holidays! It’s been a long time since I’ve done anything here. I have spent the last year buying a bank owned fixer-upper home and selling our previous house at the worst point in the real estate downturn, and in so doing we lost over $70,000. The good part is that we moved to a far better area, we downsized and now our housing and almost every other living expense costs less, including car insurance. I have spent almost every minute of my time working on our 1956 ranch style fixer-upper. I got the Bendaroos for my six year old daughter that were featured in my last post way back in February. They were a huge hit. They promote lots of creativity and keep her busy for a long time. I hope to be more active here this holiday season and post some good buys and recommendations. Well, it’s almost Halloween and I’ve come across this Halloween fun activity pack for kids. This is a batch of printable ebooks in PDF format that include 10 Halloween Coloring Pages, 10 Halloween Activities, 10 Halloween Songs, 10 Halloween Crafts, and 13 Halloween Recipes. My five year old daughter loves to color, so I know she will be thrilled with these pages, as well as the other fun stuff. At only $5, it’s not a bad deal for this much fun. Check out these Halloween Fun Activities for Kids! Real Estate Foreclosures – Should You Buy Them? Back in 2002, after carefully running the numbers and determining we could afford it, my wife and I bought a beautiful new 5 bed/3 bath 2700 sq. ft. house. But in the time since then, we’ve had two children, my wife changed to a lower paying career as a teacher, I have had no pay increases, and prices of everything have gone up. Now, and for about the last year, we have been living beyond our means and stealing from our nest egg just to make ends meet every month. So we got the idea to move to a smaller and less costly house. You’d think this would be no problem except that the challenge for us is that where we live now, the schools are not so great and we need to get into a better school district. This means that even if we manage to get what we paid for our current house, we’d barely be able to afford little more than a cracker box in the better areas. So after a few months of looking, we could no longer ignore the sad world of short sales, REO’s and foreclosures. We were pretty much ignoring them because we felt that even considering them would be preying on other people’s misfortune. But I guess it’s like thinking that if you don’t eat a steak you’ll save a cow. Foreclosures are not something that most Realtors talk much about, nor even seem very happy or proud to show. And rightly so. The sad reality is that if we can save money, or get a house in a better area, then it might be worth considering. There are many drawbacks, such as banks sell them as is with no guarantees or disclosures. Anyway, I have found several web sites that specialize in foreclosure listings and information, so I have a lot to learn. I’ll add to this post or write a new one detailing the best sites and/or any pearls of wisdom I come up with. Priority Pass is that island of peaceful tranquility in the middle of the turbulent ocean known as the world’s airports. With tightened security, increased passenger volume, and the inevitable delays, especially during peak holiday periods, the time people have to spend in airports is longer than ever. With Priority Pass, you are now a VIP with access to the best airport lounges the world over. Just flash your Priority Pass card and you’re in. With over 1200 airport VIP lounges in 90 countries and over 500 cities, many airports have multiple lounges, some as many as four or more. Priority Pass membership means that you don’t have to book airport VIP business class lounges in advance or even pay at the time of arrival. Simply show up at any Priority Pass airport lounge and present your Priority Pass membership card to gain immediate entry no matter what class of ticket or which airline you are flying. Whether you travel frequently or only occasionally, Priority Pass has a plan for you. There are three plans, from the top one with unlimited access to airport lounges for a single annual membership fee, down to the low-cost annual membership option which then charges a small fee for each lounge visit to your credit card automatically. Access to full business facilities – most lounges offer phone, fax, email and internet, some even have showers and conference rooms. Complimentary refreshments and snacks – no need to worry about local currency or waiting for expensive airport food. Priority Pass airport VIP Business Class lounge is the ideal way to escape chaotic and crowded departure areas. Get the peace and quiet you need, whether on a lengthy layover or you just need a few minutes to collect your thoughts. Go check out Priority Pass now. Update December 2018: The number of lounges is increasing to over 1,200. Well it’s December 1 and I decided to put a holiday theme on the site. It’s a little hokey, but I like it. I’m in the process of shopping for my family, and I’m also looking for great deals to post here. I’ll be posting holiday coupon codes from such diverse shopping sites as StrawberryNet.com and Kodak Gallery. I’ll start soon by posting a nice little ebook with home made holiday recipes and goodies. Let the shopping and saving begin!